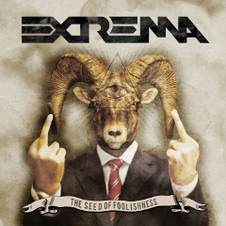 EXTREMA which is active in the metal scene for over 25 years, will release their new album "The Seed Of Foolishness" through Scarlet Records on May 21. You will find out the band going back to its Thrash Metal roots on the album. They display 10 powerful new tracks which have already been described as some of the best ever written by the band. 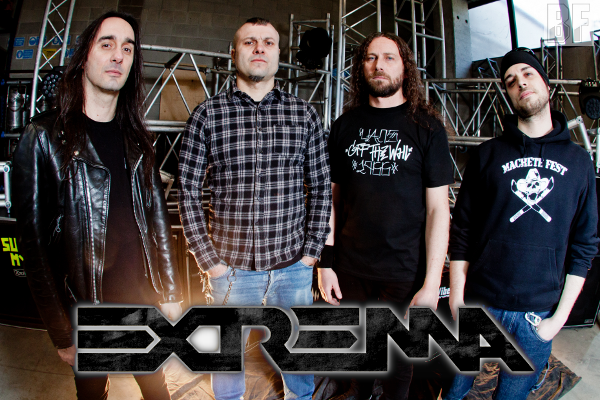 EXTREMA is a relentless touring machine that over the years has shared the stage with some of the biggest names in Heavy Metal such as Metallica, Motörhead, Korn, Death Angel to name a few. "The Seed Of Foolishness" takes its inspiration from a series of events that led to the economic crisis that we are all suffering today, providing therapy for all the anger and frustration resulting from it. There is a name "Combat Metal" for their music was given by fans and critics alike used to refer to when talking about EXTREMA at the time of their incendiary debut album "Tension At The Seams", but such definition is more relevant today than ever. The band will kick off their new tour from May 4th 2013.